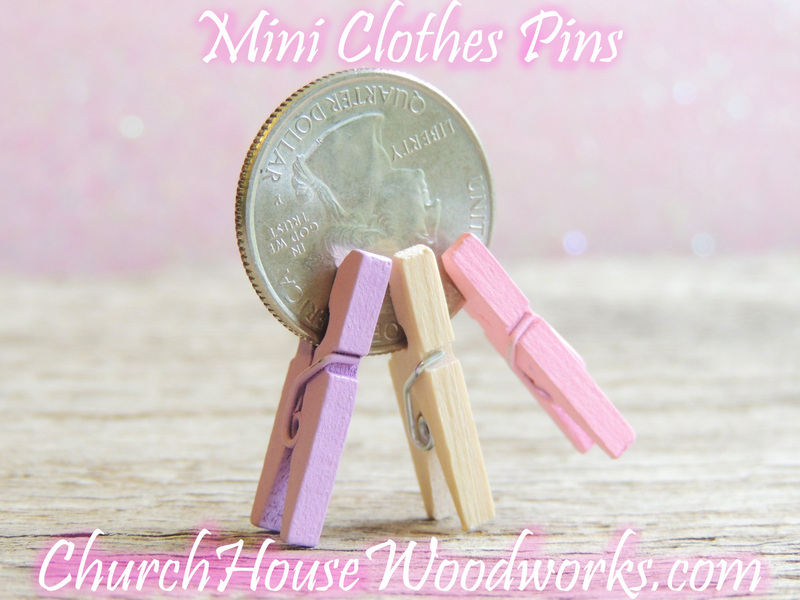 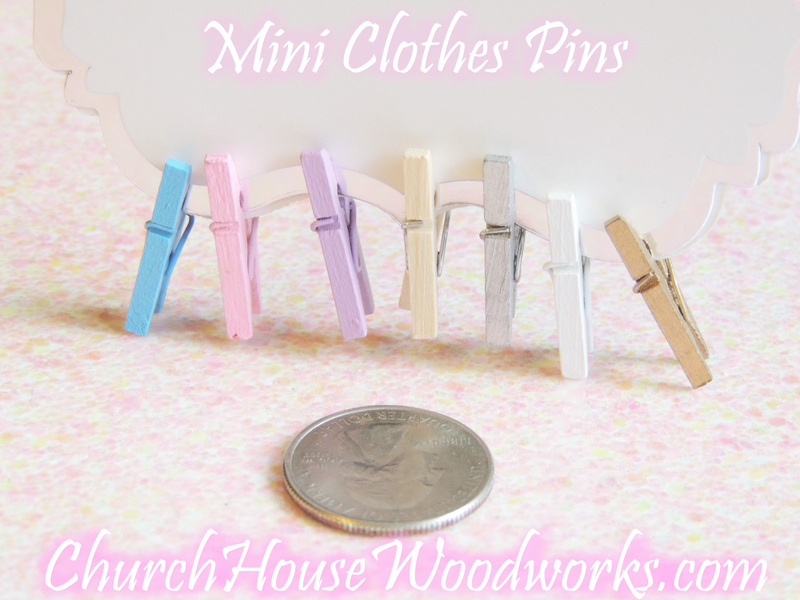 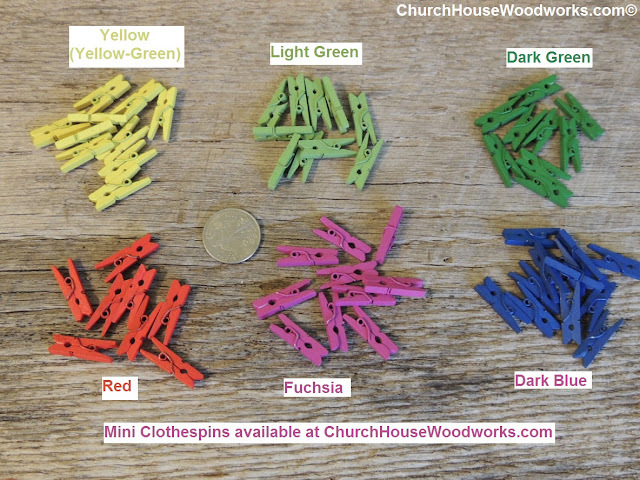 Our tiny clothespins are available in sets of 25. Pick from Blue, Purple, Silver, Pink, White, Gold, or Natural/Un-painted, or you can pick a random assortment and we will send you a mix of the colors. These measure approximately 1 inch long and 1/8" thick. 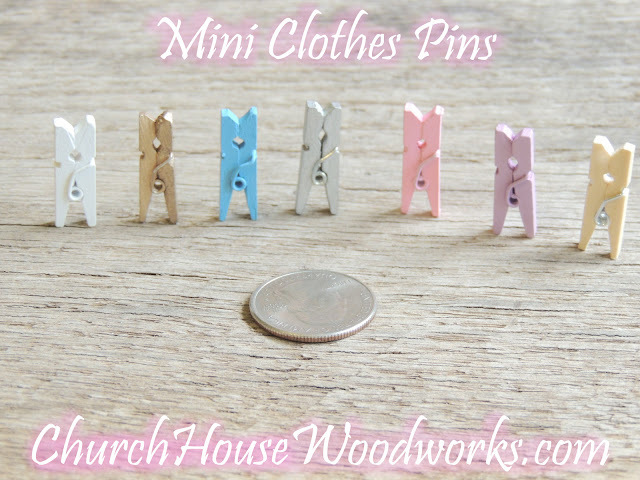 These are pretty small, you can see the photo with them next to a quarter for a size reference. 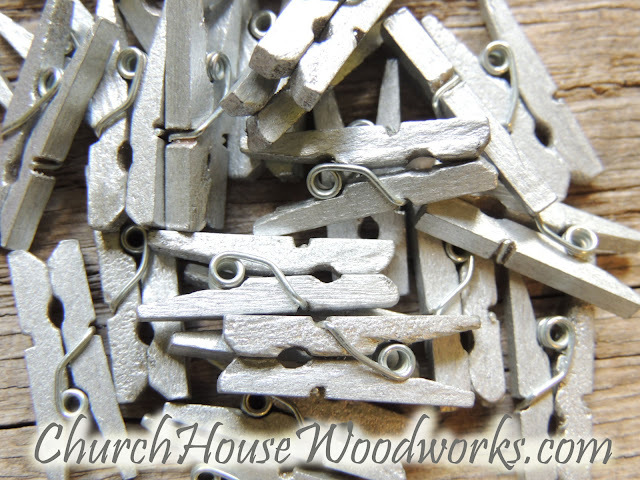 These are great for DIY projects, or for party, event, or wedding decor. 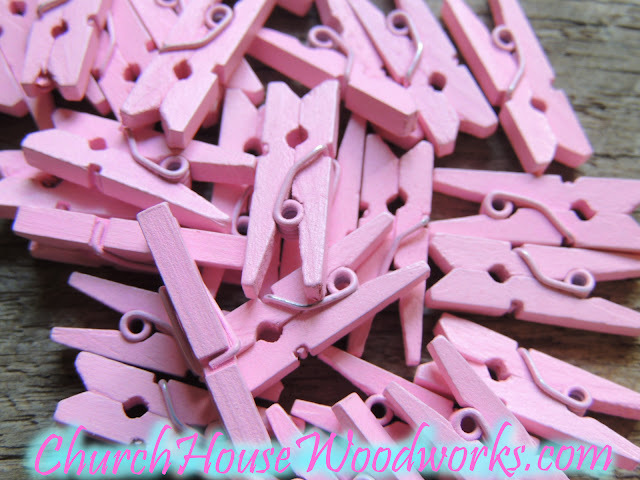 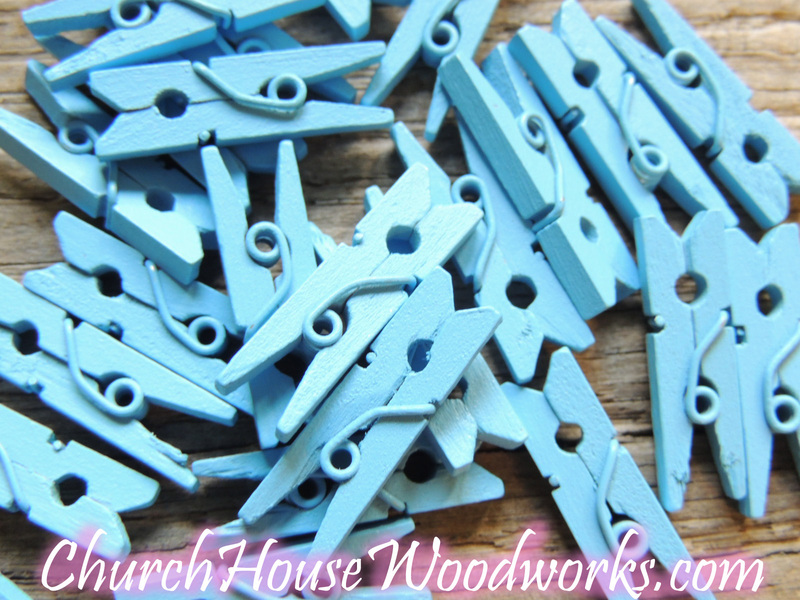 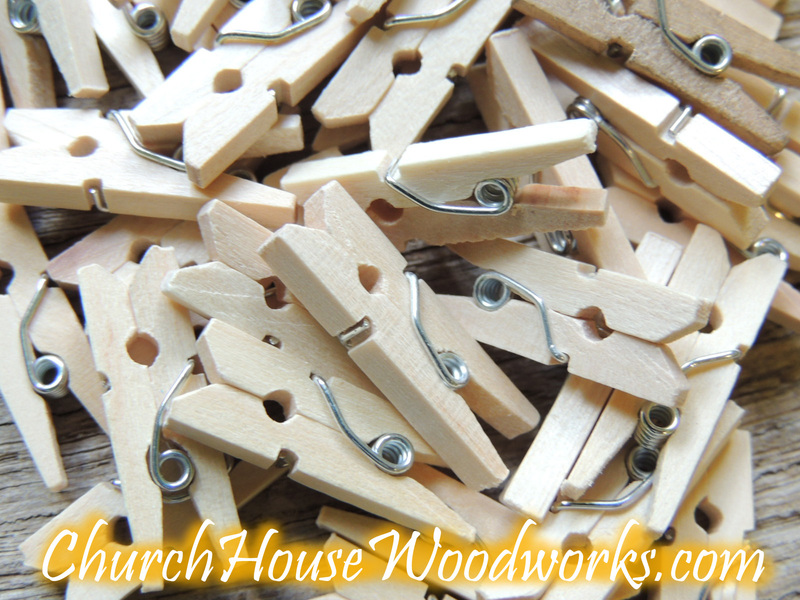 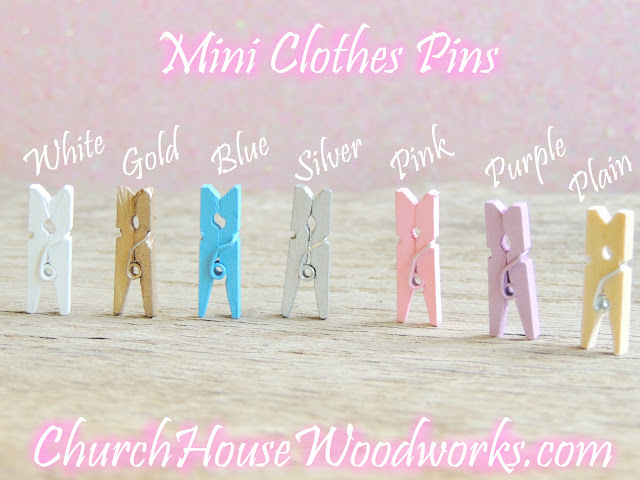 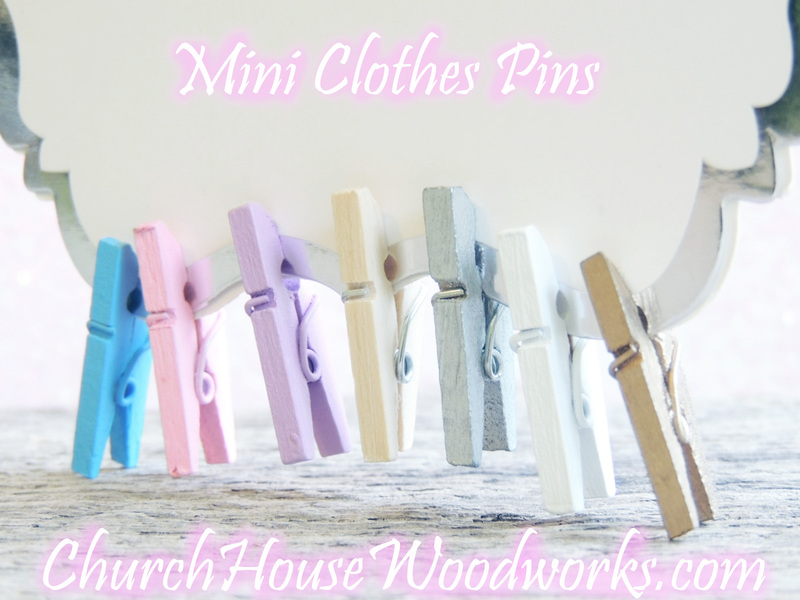 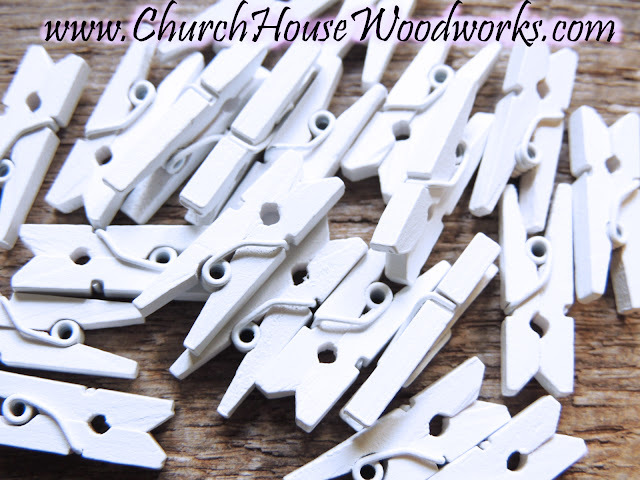 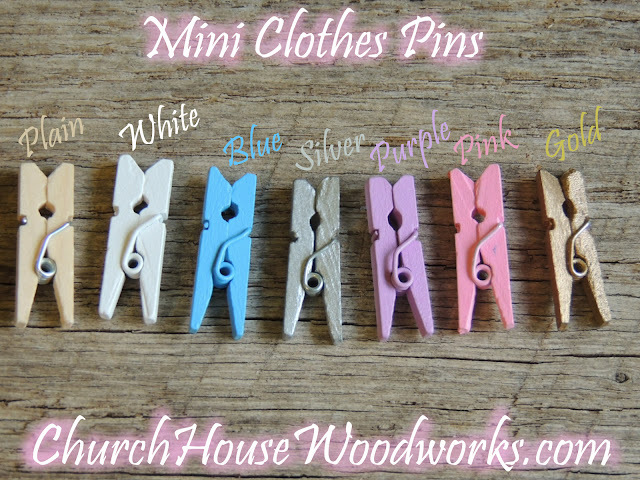 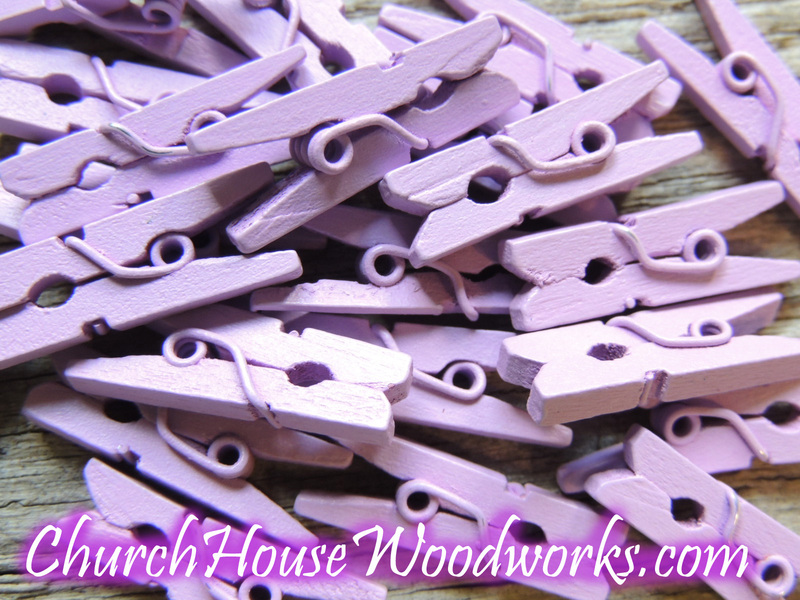 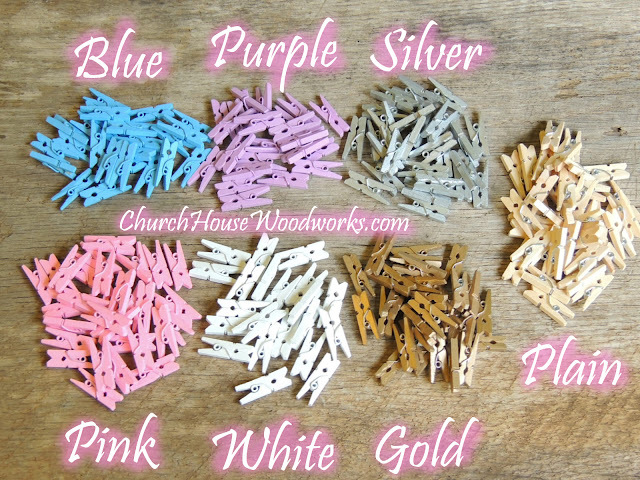 Check out all our different colors of clothespins here.